Michael Wade - School of Kinesiology, Univ. of Minn. Professor, School of Kinesiology, University of Minnesota, 1986-present. Professor and Governing Council, Center for Cognitive Science, University of Minnesota, 1986-present (CCS). Professor, Institute for Disabilities Studies, University of Minnesota, 1988-present (IDS). 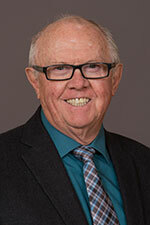 Director, School of Kinesiology, University of Minnesota, 1986-2005. Professor and chair, Department of Physical Education, Southern Illinois University at Carbondale, IL, 1981-1986. Professor, Department of Special Education, Southern Illinois University at Carbondale, IL, 1983-1986. Associate Professor, Department of Leisure Studies/Institute for Child Behavior and Development/Department of Special Education/Center for the Study of Reading, University of Illinois, Urbana-Champaign, IL, 1975-1981. Assistant Professor, Department of Leisure Studies/Children's Research Center, University of Illinois, Urbana-Champaign, IL, 1970-1975. Instructor, Department of Physical Education, University of Illinois, Urbana-Champaign, IL, 1968-1970. Graduate teaching assistant, Department of Physical Education, University of Illinois, IL, 1966-1968. Lecturer, Department of Physical Education and Recreation, University of Guelph, Ontario, Canada, 1965-1966. Schoolmaster, Watford Boys' Grammar School, Watford, England, 1963-1965. Director, School of Kinesiology, 1986-2005. Member, College of Education Administrative Council, 1986-2005. Member, Faculty Senate Committee on Faculty Affairs, 1990-93. University Planning Committee for Facilities (current $30 million Recreation and Sport Facility), 1986-present. Member, Graduate School Graduate Council, 1986-1993. Director of graduate studies, School of Kinesiology and Leisure Studies, 1986-1992. Member, Graduate School Executive Committee, 1989-1993. Chair, Graduate Council for Psychology and Education, 1989-1993. Several college committees in curriculum development and search committees. Governing Board Center for Applied Research in Educational Improvement, CAREI, 1988-1990. American Alliance for Health, Physical Education, Recreation and Dance (AAHPERD), 1973-present. North American Society for the Psychology of Sport and Physical Activity (NASPSPA), 1968-present. American Association on Mental Retardation (AAMR), 1971-present. International Society for Ecological Psychology (ISEP), 1987-present. Program organizer, North American Society for Psychology of Sport and Physical Activity, Brainerd, MN, 1993. Co-chair, Big 10/AAPE Leadership Conference. Funded by Big 10 Committee on Inter-institutional Cooperation (CIC), December 1988. Program chair, NASPSPA Meeting, Kent State University, 1989. President, North American Society of the Psychology of Sport and Physical Activity (NASPSPA), 1987-1988. Member, National Institute of Health (NICHHD) Subcommittee on Psychobiology, 1983-1985. Member, National Institute of Health (NICHHD) Subcommittee on Psychological Processes, 1983-1985. Director, NATO Advanced Study Institute, Maastricht, Netherlands, 1985. Chair, Motor Development, XXIII Olympic Scientific Congress, University of Oregon, Eugene, OR, July 19-26, 1984. Section chair (Motor Development), NASPSPA Meeting, Eugene, OR, 1984. Chair, Research Committee of Society of Park and Recreation Educators, 1977-1979. Organizer and Chairman, Mid-Eastern Motor Development Conference, University of Illinois, Urbana-Champaign, IL, September 1978. Chair, Leisure Research Symposium at National Recreation and Park Association National Convention, 1976-1977. Organizer and chairman, Research Symposium, Society of Park and Recreation Educators (SPRE), National Recreation and Park Association (NRPA) Congress, Boston, MA, October 1976.Organizer, Handicapped Children Conference, Office of the Superintendent of Public Information, Peoria, IL, 1974. Organizer, Language and Motor Development Conference, Department of Exceptional Children, Office of the Superintendent of Public Instruction (OSPI), Champaign, IL, March 1973. Organizer, Motor Development for Retarded Children, Education and Secondary Education Act Title I, Ramada Inn, Champaign, IL, 1973. I have over the years consulted with numerous school districts, lawyers and associated industries in the areas of sport, kinesiology, recreation, and human factors engineering. For the complete list of publications, see CV. Wade, M. G. (2018). Mostly "Old wine in new bottles." Reply to commentaries. Human Movement Science. Wade, M. G. & Kazeck, M. (2016). Developmental coordination disorder and its cause: The road less travelled. Human Movement Science. Wade, M. G., Tsai, C. L., Stoffregen, T., Chang, C. H. & Chen, F. C. (2016). Motor Skills Disorders Automatic Data Processing Information Theory Research Article has an altmetric score of 1 2 Citations Perception of object length via manual wielding in children with and without developmental coordination disorder. Journal of Motor Behavior, 48, 1, p. 13-19 7 p.
Wade, M. G. (2007). Quo vadis kinesiology. Quest. 59, 1, p. 170-173 4 p.
Guan, J., & Wade, M.G. (2000). The effect of aging on adaptive eye-hand coordination. Journal of Gerontology: Psychological Sciences,55B (3), 151-162. For the complete list of presentations, see CV. Invited lecturer, "Virtual Environment Validation." Driving Simulation Conference Sponsered by the French Ministry of Equipment, Transport, and Housing. Paris, France, September 6-8, 2000. Keynote invited address: The Role of Posture in the Development of Coordination and Control. 3rd World Sport Science Congress, Istanbul, Turkey, May 10-14 2000. Keynote invited address: Studying Physical Activity in the New Millennium: The need for integration. 62nd World Congress International Council for Health, Physical education, Recreation, Sport and Dan. Cairo, Egypt, July 2-7, 1999. Principals for Rating The Health Status of People in Extreme and Disaster Environments. Prepared by Victor S. Koscheyev, M.D., Ph.D., Michael G. Wade, Ph.D., and Alexander F. Bobrov, Ph.D. Presented at Health: Its Essence, Diagnostic and Strategies for Improvement Conference at Radom, Poland, May, 1999. Symposium organizer, 1st Biennial Scientific Conference on Down Syndrome, Vancouver, Canada, April 2-4, 1998. Two invited lectures as the Inaugural Robin Grey Research Fellow in the Dept. of Human Movement Science, University of Western Australia, Perth, Australia, March 15-June 1, 1994: 1) "Vision, Posture, and Aging: The role of optical flow in maintaining upright posture"; 2) "Periodicity as a Signature of Coordination and Control: Problems with atypical motor behavior." Lecturer, "Visual Regulation of Gait in Bipedal Locomotion: Revisiting Lee, Lishman and Thompson" (1982). VII International Conference on Event Perception and Action, Vancouver, Canada, August 9-13, 1993 (with W.P. Berg and N. Greer). Invited lecturer, "The Role of Motor Learning in Sport Science." 1993 International Conference on Sport Training Science. University of Taichung, Taichung, Taiwan, June 10-12, 1993. Invited lecturer, "Optical Flow and the Control of Posture in the Elderly." NATO Advanced Research Workshop, Bad Windsheim, Germany, September 12-13, 1992. Invited lecturer, "Interlimb Coordination in Atypical Development: A Periodic Behavior in Persons with Down's Syndrome", Human Frontiers of Science Program, Leuven, Belgium, June 1-5, 1992. The Effect of Aging on Adaptive Eye-Hand Coordination. Prepared by Jinhua Guan, Ph.D, and Michael G. Wade, Ph.D. Presented at NASPSA Conference. Clearwater Beach, FL, June 11, 1999. "The Hand as a Control System: Implications for Hand-Finger Dexterity During Extended EVA." NASA 12th 'Man in Space' Conference (Smith and Wade), Washington DC, June 8-13, 1997. Paper presented (with Graeme Jones, Paul Cassidy, Alice Englehart, and Alongkot Emasithi) "Visual-Postural Coupling in the Elderly". NASPSPA Annual Meeting, Toronto, Canada, June 8, 1996. "Periodicity as a Marker in Human Motor Performance." Annual meeting of NASPSPA, Brainerd, Minnesota, June 3-6, 1993. "The Importance of Coordination and Control in the Effective Practice of Therapeutic Science. Key Functional Assessments, Inc., Annual Conference, Minneapolis, MN, October 10, 1992. "Flow Structure and Retinal Location in the Optical Control of Posture in the Aging" (with John Taylor and Ruth Lindquist). Paper presented at the Annual Meeting of the Gerontological Society of America, San Francisco, CA, November 22-26, 1991. "Flow Structure and Retinal Location in the Optical Control of Posture in the Aging" (with John Taylor and Ruth Lindquist). Paper presented at a symposium entitled "Visual Control of Movement: Real World Applications." Annual Meeting of NASPSPA, Monterey, CA, June 13-16, 1991. Invited lecturer, "Optical Flow and the Control of Posture in the Elderly." Scripps Gerontology Center, Miami University, Oxford, OH, October 19, 1992. Invited talk, "Vision and Postural Control in Aging," 25th Reunion of CRLPC, Minneapolis, MN, September 28, 1991.